I was among the first group of women in Connecticut to enter the ordination process in the Episcopal church. I wanted to be a priest. If you think Eve’s eating an apple in the biblical garden of Eden was the end of innocence, it was a piece of cake compared to my fall. The church, although its legislative body had in 1976 voted us women “legal,” wasn’t ready for women priests. There were no darts in the clergy shirts. I and other women fell into the chasm that forms between the legality of a situation and its acceptance by the people whose lives it will change. I wanted to be a priest so I could stand at an altar and celebrate the Holy Eucharist. It was my single focus. Eucharist means many things, but to me it meant two. It’s a meal of justice—everyone invited, everyone fed the same, a virtual economic miracle. And it’s a meal of compassion—there is a place for everybody at this table at which the grace of God is mysteriously communicated through simple bread and wine. Sometimes I’d imagine my own body and blood infused with the strength, love, compassion, and goodness of divinity. This food was a staple for me, and I wanted to be one of its “cooks.” For this I needed the church’s official authorization. Interviews with the ordination screening committee were scheduled in July 1977. It was furnace hot. I climbed what seemed like a hundred stone steps to enter Holy Family Monastery, where I and others would be grilled. We six aspirants included four women and two men—the women were somewhere above thirty and below fifty, and the men looked more like boys, young, unmarried, eagerly fresh and “nubile” for God. We were individually scheduled for a fifty-minute interview with each of the six interrogators. It was called “discernment” but felt like judgment. Would we be found fit? Committee verdicts would go to the bishop, who had the final say although he rarely went against the committee’s recommendation. A bell— not a gong, but a discrete cow bell—would signal when each interview was over and we would pass on to the next interviewer. Friday evening’s interviews centered on Graham Greene’s inscrutable novel, The Power and the Glory, about a miserable old alcoholic Mexican priest who faithfully performs his sacramental duties—the idea being that a priest’s vocation does not depend on his character but on the call and grace of God. Greene’s wisdom, however, hadn’t yet trickled down to this committee. Saturday’s interviews crept along, bell by bell. One laywoman on the committee was openly against the ordination of women but said her personal position wouldn’t prejudice her against the women she interviewed. I admired her self-deception. A male priest asked how many children I had. I confessed to four. “That’s two-point-two-four too many,” he said. Another priest worried about maternal supervision of my “two-point-two-four,” aged 15, 14, 12 and 7. Still another woman thought I’d make a fine priest—in ten years—when my children no longer needed their mother. A gay male priest wondered if the seven-year-old could reach the refrigerator. There were no women priests on this “jury” because there were no women priests in Connecticut. After two dreadful weeks, the bishop summoned me to his office and told me from behind a three-mile-wide desk that the committee decided I couldn’t be a mother and a priest—a “dual vocation” it was called. Mr. two-point-two-four had won. I argued to no avail about men and fathers, cursed myself for crying in front of him, then slunk out, went home, made the family’s favorite supper of meat loaf and mashed potatoes, no peas, drank and wept myself to sleep. I spent a year in doubt and shame then indulged in what one committee member labeled an “act of defiance against church authority.” I went to Yale Divinity School. The church didn’t like its aspirants to go to seminary without its stamp. But I needed a transfusion. Also, I secretly hoped to prove the committee wrong, to be a mother and a priest. After two years in seminary I applied for ordination again, enduring the same round of interviews with all the same people. At that time my marriage was stretched thin. I shouldn’t have answered their questions about its stability—the committee decided I was “emotionally unstable” because of my “home situation.” The church didn’t want mothers or divorcées, one too child-bound and the other too dangerous. Other women in the process had lied, gotten ordained, and then divorced. I got divorced then ordained—but not for several more years. I was getting close to what I thought might be a nervous breakdown; the unmanageable mix of rage and impotence made me a cauldron. But instead of breaking down, I broke out— out of marriage, out of my good girl act. Also I drank too much, had a couple of love affairs not just with men and, in case I really might be “emotionally unstable,” entered therapy with a woman who actually applauded my behavior. Therapy, getting to know the Bible inside out, women friends, prayer, my children who kept loving me anyway, and the vitality I felt just breaking rules resurrected me. I was a woman alive, a woman in heat, a woman of faith. By now I was a woman who had figured out that her priesthood had begun when she was three. I’m fresh from the bath, prepped and primped by my mother—hair brushed and bowed, dressed in my yellow flowered nightie and robe with navy blue leather slippers. My mother wears a negligée and lavender mules with pompoms on the toes. We’re ready for Daddy’s nightly homecoming. Longfellow’s children’s hour is about to be transformed to the cocktail hour—the hour of the triangle-shaped, long-stemmed glass filled with clear liquid and three enormous green cross-eyed olives. Daddy gazes at this glass as he twirls its stem between his thumb and forefinger. I hate, fear the ugly glass. Snitching Ritz crackers from the cocktail tray, I seek refuge under our large dining room table with the cross beams between its four fat legs and the cloth to the floor. I sit cross-legged on the maroon carpet and chat with my three imaginary friends and a fourth friend I call God. I’ve heard about God in my favorite book, The Little Book About God. God has a long white beard, sits on a cloud or in a garden and listens intently to every “weeny sound” on earth, including the peep of a field mouse, the moan of a sick man, the sobs of a little girl. Under the table God listens to me. I matter. God doesn’t stop the cocktail hour, but that doesn’t stop me from talking to God or God from listening to me when I take my five Ritz crackers under the table. In the morning four remain perched on the cross beam. It seems the right thing to do. The memory of my roots strengthened my determination to seek the church’s brand. However, I was still reeling from my second rejection, my divorce, my father’s death and one sister’s death. I sank into an unpleasant combination of panic and grief. I moved into my own small condo with my two sons and a Crockpot that saved my life—not only by cooking for me while I raced back and forth to my job as a chaplain but also by teaching me to simmer. I talked to numbers of people, trying to get control through understanding. The political battle for liberation and gender equity in the eighties was engaging women in church and culture across the country. I realized I needed politics. I needed history. Patriarchal church politics provided some wisdom, even answers. We first women applicants for priesthood were also pioneers in a big movement, although I’m not sure we realized our role in history. Many of us were naive about what it meant to contravene centuries of tradition. We also were isolated from other women aspirants. One woman years later quipped, “I can’t imagine what I was thinking, expecting a trumpet blast as I entered the holy precincts, everyone reciting from scripture, ‘Come thou blessed of my father.’” I began to realize that the challenge of spiritual disobedience and reformation can be nurturing—if you do it in groups and trust in the long slow work of God. But still, I remained in darkness until one day, while sitting at my desk, I heard a voice inside say, No one can take being a priest away from you. The message was true and stunning enough to be liberating. I thought it could be God, the one who had listened to me under the table now speaking. I got shrewd. When a new bishop took office in 1983 I decided to try again for ordination. This bishop didn’t like “messes.” I had been turned down by a former bishop, had a “history,” was now divorced and dating the new priest in my home parish, himself just divorced as well. Could this be a mess? Still, he agreed to conversations. During this time I prayed in such an importunate way that I heard my God-in-me voice say, Lyn, I don’t care if you’re ordained. God didn’t care—but I did, so I persevered, developed the skills of a defense attorney, and wore the poor bishop down. Politically savvy by now, I called a woman priest on the Commission on Ministry and asked her to keep the bishop honest about his promise to bring my case before the commission for review and acceptance. She did. I got in. The day of my ordination was March 25, 1988, five months short of my fiftieth birthday. It had taken a record eleven years, two bishops, several examining committees, all the grit my soul could muster and plenty of grace to get to this day. It was the Feast of the Annunciation, officially Mary’s day on the church calendar. I’d chosen the date because the bishop’s calendar was free, but mostly because Mary as a young woman had experienced Divinity in her body, the kind of intimacy I had felt as a child, and because she was a mother with mothering issues, a woman invited by God to be the mother of Jesus, no easy task I imagine. I tried to act humble, look pure, maybe faintly pious, but inside I was winged, filled with an oddly sober joy marred only by the absence of my father who would have been there if he could. I loved my ordination day. It sent shivers of happiness through me. Now all these years later I love being a priest. But I’ve learned not to love the solemn glory, the status and professional privilege, the ego boost, the effort it all represents—even the stiff white collar of office or the altar at which I stand—as much as I love the God who befriended my lonely little girl soul and whose inner presence got me to where I am, the God who still listens and occasionally turns my head. Rev. 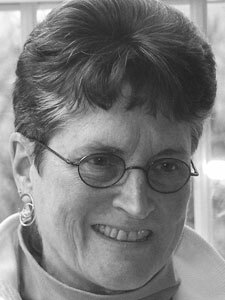 Lyn G. Brakeman is an Episcopal priest and author of Spiritual Lemons: Biblical Women, Irreverent Laughter and Righteous Rage, and The God Between Us: A Spirituality of Relationships (both published by Augsburg Books.) She is also the author of a memoir seeking publication about becoming a priest. She has a blog at www.spirituallemons.blogspot.com. As Priest Associate, she serves as a pastoral psychotherapist and spiritual director at St. John's in Gloucester, MA. View More: Next piece "A Woman’s Got to Do", Home, Archive.